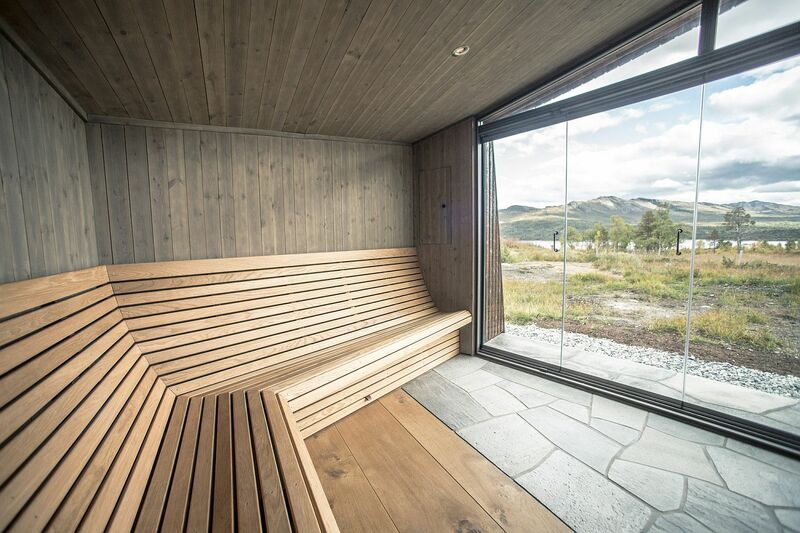 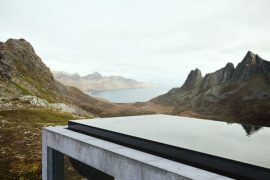 A natural escape that takes you into the heartland of rugged Norwegian landscape at its astounding best, Viewpoint Granasjøen keeps things simple and yet interesting. 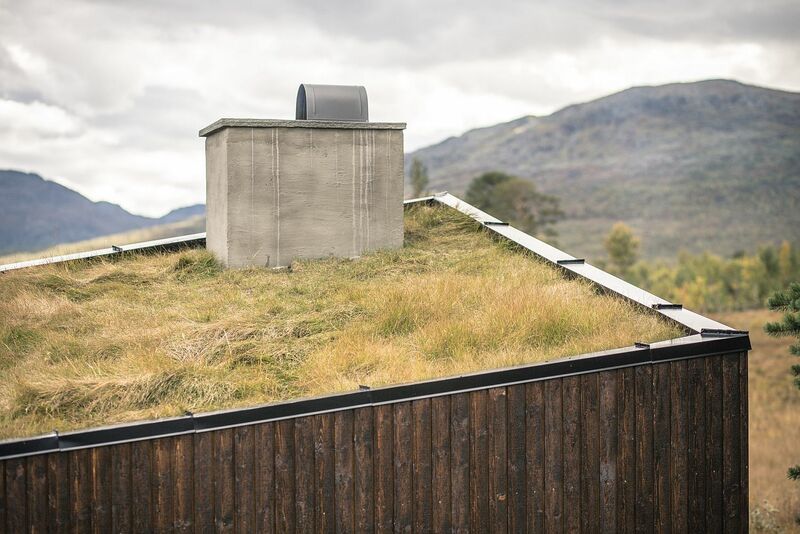 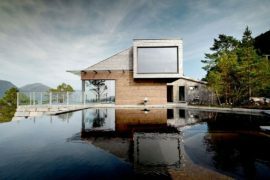 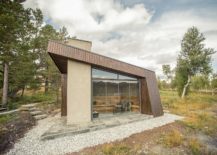 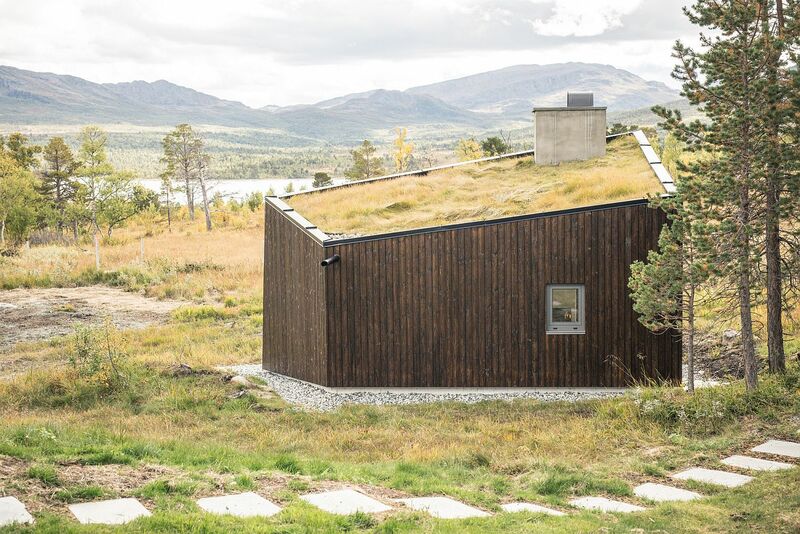 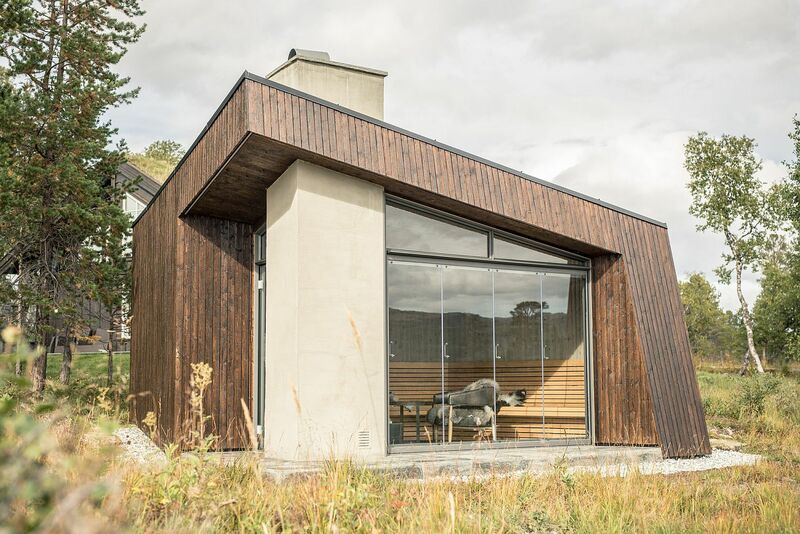 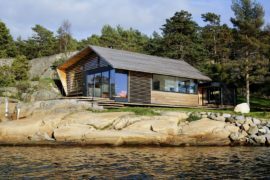 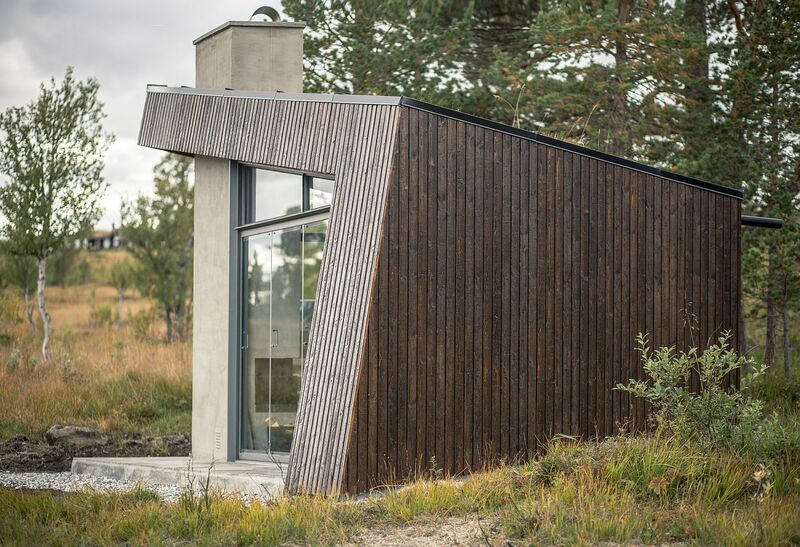 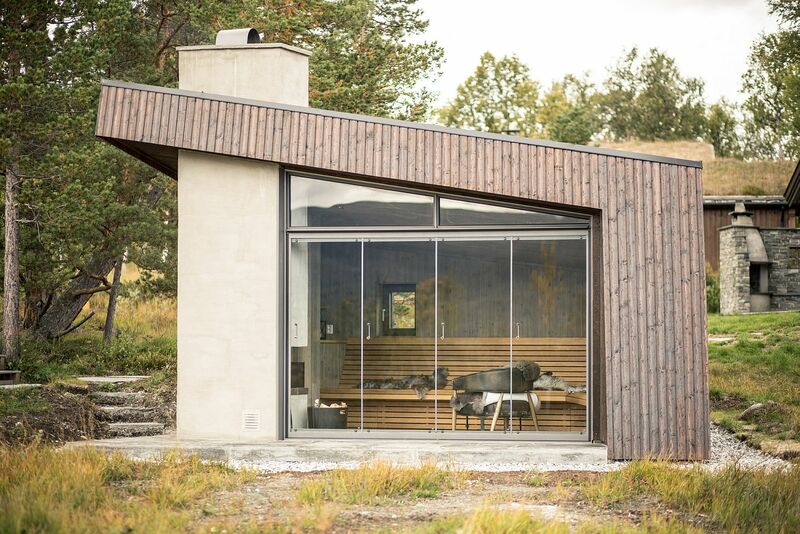 The most recognizable feature of this contemporary cabin overlooking the Granasjøen Lake and distant mountains is its green roof along with the angled walls. 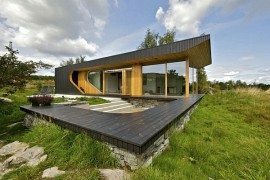 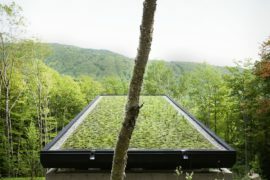 The gorgeous green roof lets the cabin blend in with the lush green scenery all around while the angled walls and façade give it a cool, contemporary appeal. 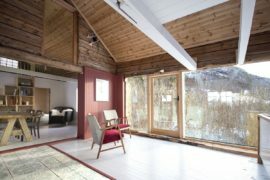 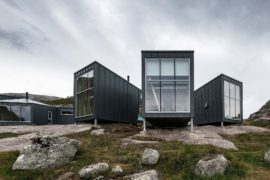 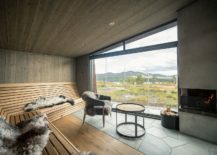 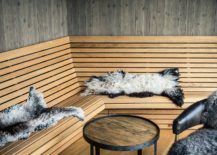 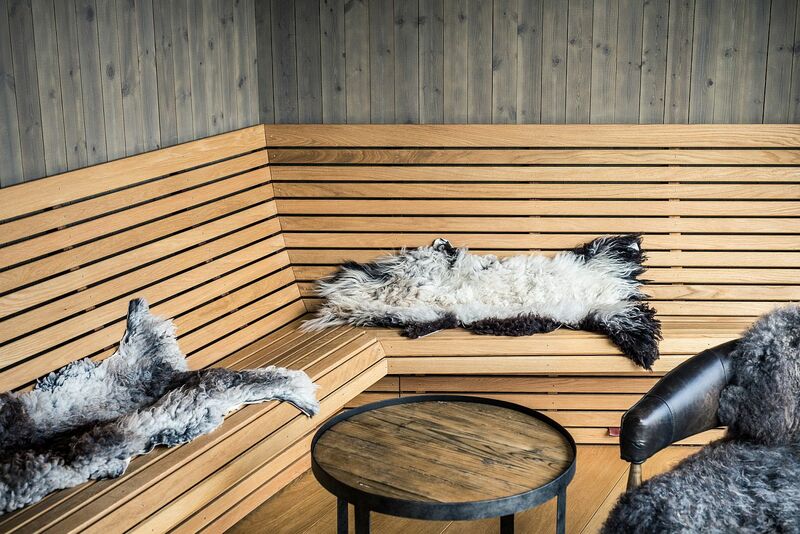 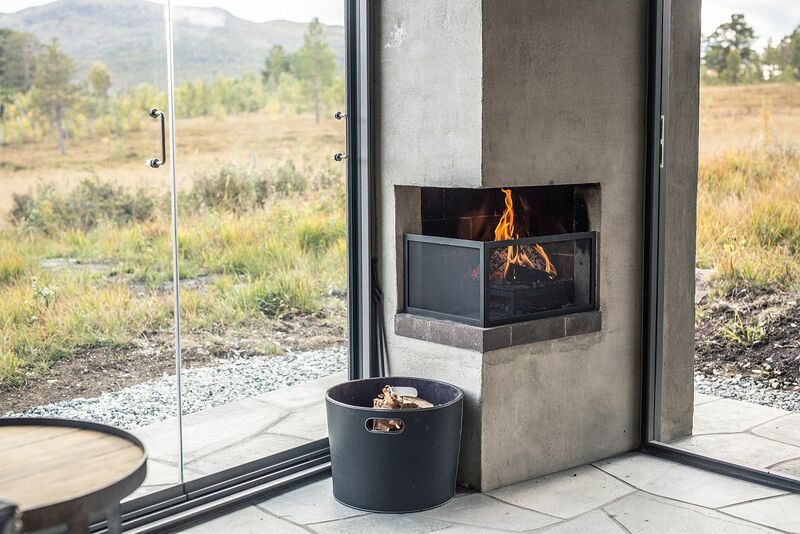 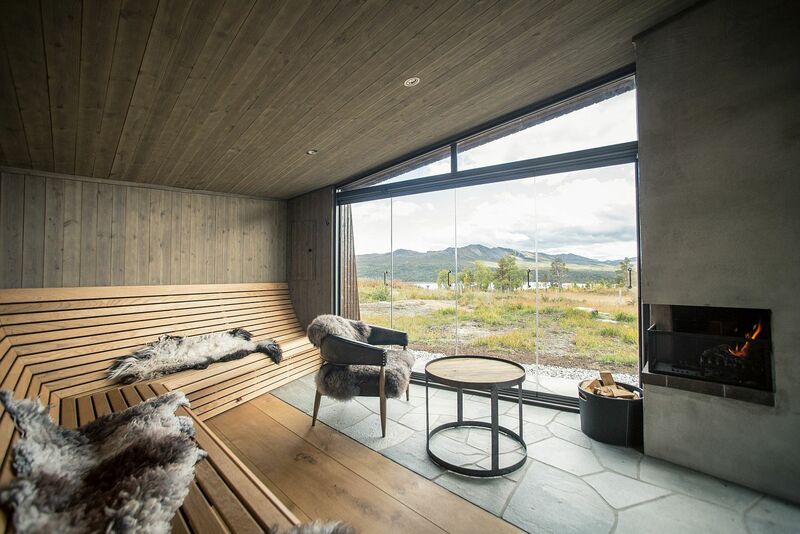 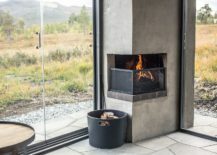 The design was specially conceptualized and brought to life by to ensure that this Norwegian ‘Gapahuk’ fits in snugly onto the site without any structural issues. 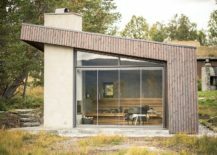 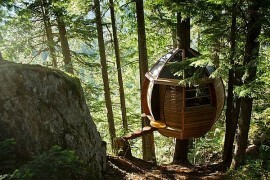 The multitasking structure can serve as a relaxing summer house, a tranquil retreat that offers complete solitude, a cozy shelter during harsher winters, a shed and even as just a plain viewpoint that offers the very best views of the surrounding backdrop. 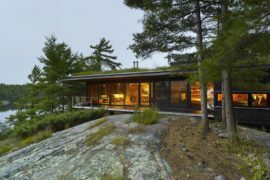 On the outside, it is dark brown stained wood that give the cabin its distinctive style even as large glass doors and windows provide unabated views. 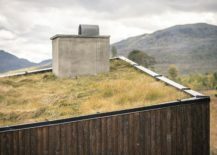 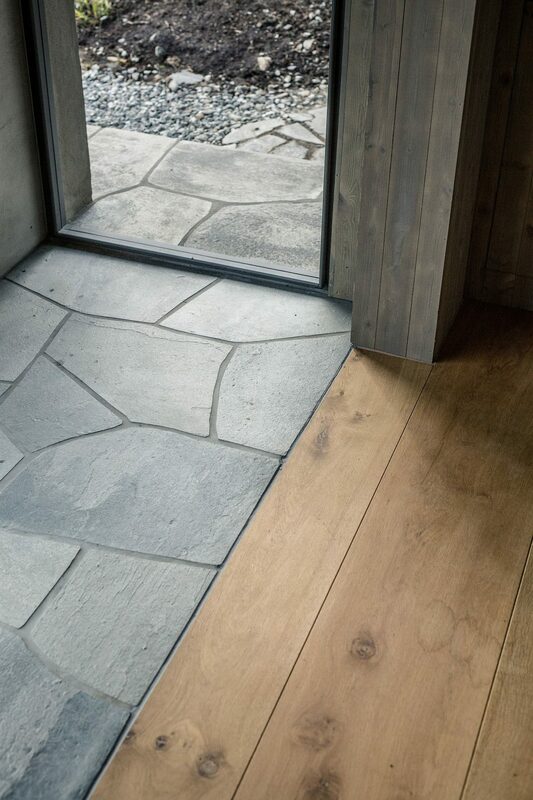 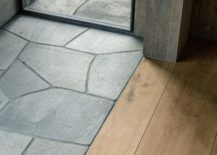 On the inside stone and wood are interwoven carefully with the green roof above also acting as a natural mechanism that regulates temperature and keeps the atmosphere warm and inviting.